Successful artists enriched the squares of the city of Alba with their music in one of the most beautiful landscapes, the Langhe, provoking unforgettable emotions. Cantautori d’Italia produced a concert of brazilian music with Elisabetta Prodon for a meeting of world music and cultures. The event program took place over April 26, 27 and 30. During the evenings, excellent live jazz and tastings of typical products helped to animate the streets of Trulli. Festival organizers produced a masterclass and panel at a local high school: “JAZZ : Improvisation & Interplay” featuring Alessandro LANZONI, piano, Gabriele EVANGELISTA, contrabbasso, Enrico MORELLO, batteria and Marco POSTACCHINI, tenor sax. Organized as an appendix to the centuries-old Fiera d’Aprile, the event featured four groups performing in the ancient streets and piazze of Andria: Via Vaglio: Margie and the bluliners (Mariangela Cagnetta voice, Sergio Langella piano, Francesco Cinquepalmi bass, Franco Giancaspro drums); Piazza La Corte: Tribute to Miles Davis (Pietro Lomuscio piano, Francesco Angiuli bass, Fabio Delle Foglie drums); Piazza Vittorio Emanuele II: Black beauty, the Duke Ellington music (Patrizia Lomuscio voice, Piero Vincenti hammond, Fabio Accardi drums); and Via De Anellis: Swing Made in Italy feat. “I Ragazzi perbere” (Giuseppe Balducci voice, Andrea campanella sax and clarinet, Nicola Lupo guitar, Francesco Volpe bass, Nicola Caporusso drums). The Comune di Barcellona Pozzo di Gotto (Messina), together with the cultural/recreational association “MACONDO,” was pleased to welcome Sicilian jazz artists to the piazza for a jam session on the occasion of International Jazz Day 2014. Tino Tracanna: sax; Massimo Colombo: piano; Attilio Zanchi: acoustic bass; Tommy Bradascio: drums. Presentation on the CD “Portraits.” Dedicated to the music of Monk, Shorter, Swallow, Carla Bley and Yusef Lateef. Nuovo Eden hosted a concert featuring the David Liebman – Ellery Eskelin Quartet. With a two saxophone front line, this group traverses into the free jazz world with a definite grounding in tradition. The Festival Jazz Tradizionale di Lanciano presented a lesson-concert by the superb instrumentalist “A. Marino” from Casoli on the occasion of International Jazz Day. 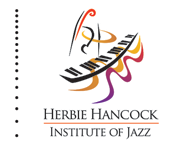 Students from the third class learned the history of jazz from the first recording of “Back Home in Indiana” in 1917 to the present day. A jazz concert with Enrico Rava & the Giovanni Guidi Duo, featuring Rosalba Bentivoglio. Three great musicians performed in the beautiful setting of the Grotto, in Coriano. Followed by a jam session. In the 3rd edition of the CJD, the celebration moved to Casalmaggiore’s opera theatre thanks to the success of the past editions. As usual, the concert was joined by jazz (and not only) musicians from the area. This year the event was connected with collateral events and charity initiatives. Agorà Club was proud to host this concert and jam session featuring Paolo Bonifacio, in support of our wonderful musician community. Over 70 jazz musicians coming from Bergamo and northern Italy presented different jazz projects, both original and classic (swing, bebop, funky, ethnic, modern jazz). The concert was promoted by CDpM Europe jazz school. Musicians included: Claudio Angeleri, Gabriele Comeglio, Gianluigi Trovesi, CDpM Europe big band, Sergio Orlandi and many others. For the International Jazz Day 2014, Jazz Club Ferrara in collaboration with La Festa del Libro Ebraico (Jewish Book Festival) was glad to present to Ben Goldberg Trio, featuring Ben Goldberg, clarinet, Greg Cohen, double bass and Kenny Wollesen, drums. 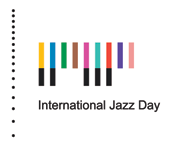 MOODY JAZZ CAFE were pleased to host INTERNATIONAL JAZZ DAY in Foggia. From morning to night we organized some events that joined various kinds of arts and subjects: literature, education, cinema, food, history, art and, obviously, music with the RINO ZURZOLO septet. We were proud to present one of the most talented young Italian saxophone players together with a Genoese icon of italian jazz piano. They warmed the evening with original interpretations of old and new standards, together with songs of their composition. This year, The Locomotive Jazz Festival joined the UNESCO initiative by dedicating a rich concert program to jazz music. Onyx and Casa Cava, with the support of the Instituto Francese in Italia and the Italian National Commission for UNESCO, celebrated the third International Jazz Day in Matera. Event featured a performance by Radio Babel, a vocal ensemble founded in the music of the Mediterranean and the world. “OFF in JAZZ” Messina celebrated with a special night of jazz at the Centro Multiculturale Officina, starting at 18:00. This free event consisted in a musical marathon with many participants, including Sicilian jazz musicians, jazz bands and students, concluding with a final jam until 2 am. This event consisted in a musical marathon with three distinctly original and innovative projects, each enriched with video projections and other multimedia content. With Tito Mangialajo Rantzer Solo, Valentino Tamponi Trio, Tiziana Ghiglioni and Vocal Streams. Dérive trio, a jazz trio based in Milan, organized a concert lecture about jazz and contemporary pop for the students and professors of the Art School of Brera. Concert featuring the “Jazz Friends” with Pucci Nicosia (drum), Guglielmo Beneventano (piano), Fabrizio Scalzo (cb) and Antonio Caldarella (tr). The evening concluded with a free jam session. A Jazz Marathon took place from 7 to midnight, featuring special guest Frescobaldi Jazz Ensemble: sstudents and teachers from Ferrara Conservatory’s Jazz Department directed by Maestro Teo Ciavarella. Also featuring the ECOE trio and Stefano Calzolari & Valerio Renzetti open duo. This IJD On-Air broadcast event was organized by the “JAZZ CAMPANIA” radio program, curated by Onofrio Piccolo and produced by Pomigliano Jazz and Radio CRC. A day dedicated to jazz live radio, with concerts, interviews, playlists and more. Strict but anarchist, popular but educated, modern but with deep roots, jazz is a way of thinking about music that is now part of the blood of our world. On the occasion of this extraordinary celebration, ATOM Booking, Dartevaria and Joker Naples organized a special jam. The University of Padua organized a conference/concert themed around “Jazz Inclusion. The conference (9.00-19.00) explored the inclusive dimension of jazz; a jazz concert (20.30-21.00) concluded the event. Concert featuring the orchestra “Forme d’arte Ensemble,” comprised of musicians that used to meet at the Saturday afternoon jam session at the Atelier Forme d’arte in Via Goethe in Palermo. Jazz Radio Show with 10 speakers and involvement and participation of local and international jazz artists. Included interviews, reviews and live music. 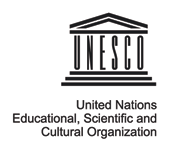 This event received the patronage of the Italian National Commission for UNESCO. The festival featured concerts by the Louis Moholo-Special Unit, the Blue Notes and Caetano Veloso. The Pisan journalist and jazz historian Francesco Martinelli presented the publication of the Italian translation of The History of Jazz by Ted Gioia, curated by himself, introducing the different periods and styles of jazz with the help of the live music provided by JazzWide 4tet feat. Nico Gori. We celebrated jazz at Il Suerte di Poggiomarino for the third consecutive year with an homage to Miles Davis. We celebrated with an ambitious program for such a small jazz club – two bands with 20 and 40 players, respectively, ages 6 to 16 years; and a concert by the 14-piece Oliva & Capperi Big Band. The Bones Trio (Vito Di Modugno, Davide Penta, Antonio Di Lorenzo) performed street jazz, hammond vibes, and boogaloo with other guest musicians (TBA) that joined in for a hot jam session. The Black Vibrations DJ spun jazzy flavoured vinyls, from the classic tunes to the new beats. In the medieval town of Randazzo a special event took place: A magic combination of music, art and taste. After a vernissage of the Sicilian artist Anna Grasso and a taste of local wines by Casa Vinicola Valenti, people enjoyed jazz music from the Triton Jazz Trio. Jam session followed the concert. Forty years after the disappearance of the “Duke” Edward Kennedy Ellington, the jazz band he founded and directed and which still represents him all over the world performed on April 30th in Rome, at the Auditorium Parco della Musica, on the occasion of the International Jazz Day. Concert at the Casa del Jazz featuring Stefano Battaglia’s “Alec Wilder – Songs Were Made to Sing.” With Avishai Cohen (trumpet), Stefano Battaglia (piano), Joe Rehmer (bass) and Fabrizio Sferra (drums). Concert of Latin American-inspired boleros arranged as jazz, featuring Eleonora Bianchini – voice & guitar; Luca Ruggero Jacovella – piano; Marco Siniscalco – bass; Davide Pentassuglia – drums. Percentomusica music center presented a session with New Talents Jazz Orchestra, directed by Mario Corvini. Concert by the Walkin’ Jazz Quartet (ITA) || Walter Civettini: trumpet/flugehorn | Stefano Raffaelli: piano/livelectronics | Enrico Tommasini: drums | Flavio Zanon: doublebass. Six jazz musicians presented their recorded tribute to one of the key figures of music in the 20th century – the extraordinary pianist and composer whose work defined an era, and whose legacy has inspired all those musicians who have pursued jazz as an art. This jam was based on the idea the music is first a flow of emotions that every musician has inside. Chaos doesn’t mean disorder, but is a condition before the setting of the order and the distinctions of genres. Different styles and cultures have to harmonize their chaos in totally improvisation. To celebrate International Jazz Day, we talked about jazz all day; at the end we played jazz together to be happy for the rest of the year! The Galleria Jazz presented an exhibition of paintings as a tribute to this genre of music and the great performers of the past. The Associazione Jecos held a workshop and concert featuring local and youth jazz groups. Basilico Tredici, plus some private sponsors, organized in cooperation with Comune di Treviso and Teatri S.p.A. a unique event featuring an amazing duo: Kenny Barron & Dave Holland. The public enjoyed the project “Radiotrio presents Radiotrio” with Paolo Birro, Federico Malaman and Mauro Beggio at the Auditorium di Thiene. The group officially presented their recent CD, produced on their label Almar dell’Istituto di Thiene.